Water tanks are used to store water and are designed as crack free structures, to eliminate any leakage. In this paper design of two types of circular water tank resting on ground is presented. 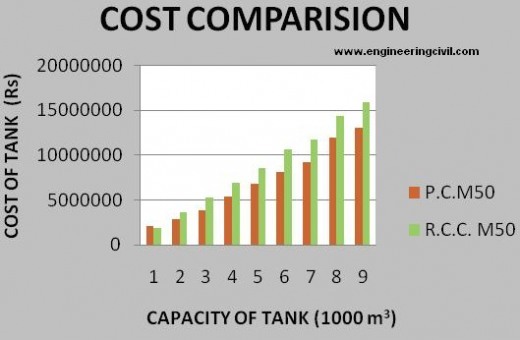 Both reinforced concrete (RC) and prestressed concrete (PSC) alternatives are considered in the design and are compared considering the total cost of the tank. These water tank are subjected to the same type of capacity and dimensions. As an objective function with the properties of tank that are tank capacity, width &length etc. A computer program has been developed for solving numerical examples using the Indian std. Indian Standard Code 456-2000, IS-3370-I,II,III,IV & IS 1343-1980. 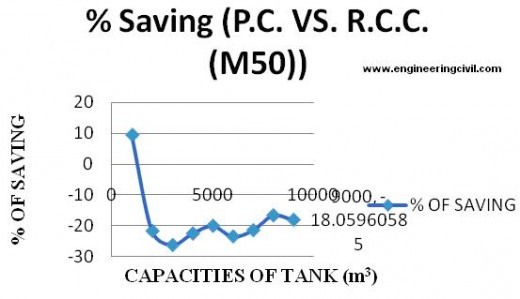 The paper gives idea for safe design with minimum cost of the tank and give the designer the relationship curve between design variable thus design of tank can be more economical ,reliable and simple. The paper helps in understanding the design philosophy for the safe and economical design of water tank. Storage reservoirs and over head tanks are used to store water, liquid petroleum, petroleum products and similar liquids. The force analysis of the reservoirs or tanks is about the same irrespective of the chemical nature of the product. In general there are three kinds of water tanks-tanks resting on ground Underground tanks and elevated tanks. Here we are studying only the tanks resting on ground like clear water reservoirs, settling tanks, aeration tanks etc. are supported on ground directly. The wall of these tanks are subjected to pressure and the base is subjected to weight of Water. In this paper, both types of reinforced concrete and prestesses concrete water tanks resting on ground monolithic with the base Are design and their results compared. These tanks are subjected to Same capacity and dimensions. Also a computer program has been developed for solving numerical examples using IS Code 456-200IS-1343-1984,IS 3370-Part I,II,III,IV 1965 & IS Code 1343-1980. From the analysis it is conclude that for tank having larger capacity (greater than 10 lakh liter) prestesses concrete water tank is economical. •	To make the study about the analysis and design of water tank. •	To make the guidelines for the design of liquid retaining structure According to IS code. •	To know about design philosophy for safe design of water tank. •	To develop program for water tank to avoid tedious calculations. From the review of earlier investigations it is found that considerable work has been done on the method of analysis and design of water tanks. Tanetal. :- (1993) presented the minimum cost design of reinforced concrete cylindrical water tanks based on the British Code for water tanks, using a direct search method and the (SUMT). The cost function included the material costs of concrete and steel only. The tank wall thickness was idealized with piecewise linear slopes with the maximum thickness at the base. Thakkar and Sridhar Rao  (1974), discussed cost optimization of non cylindrical composite type prestressed concrete pipes based on the Indian code. Al-Badri  (2005) presented cost optimization of reinforced concrete circular grain silo based on the ACI Code (2002). He proved that the minimum cost of the silo increases with increasing of the angle of internal friction between stored materials, the coefficient of friction between stored materials and concrete, and the number of columns supporting hopper . Al-Badri (2006) presented the minimum cost design of reinforced concrete corbels based on AC I Code (2002). The cost function included the material costs of concrete, formwork and steel reinforcement. He proved that the minimum total cost of the corbel increases with the increase of the shear span, and decreases with the increase of the friction factor for monolithic construction. Hassan Jasim Mohammed  studied the economical design of concrete water Tanks by optimization method. He applied the optimization technique to the structural design of concrete rectangular and circular water tank, considering the total cost of the tank as an objective function with the properties of the tank viz. tank capacity, width and length of the tank, unit weight of water and tank floor slab thickness as design variables. 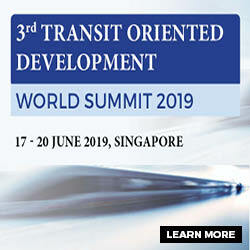 From the study he concluded that an increased tank capacity leads to increased minimum total cost of the rectangular tank but decreased minimum total cost for the circular tank. The tank floor slab thickness constitutes the minimum total cost for two types of tanks. The minimum cost is more sensitive to changes in tank capacity and floor slab thickness of rectangular tank but in circular type is more sensitive to change in all variables. Increased tank capacity leads to increase in minimum total cost. Increase in water depth in circular tank leads to increase in minimum total cost. •	A design method based on limiting the steel stress, does not produce consistent crack or compression zone depths under the application of prestressing nor under a combination of axial load and moment. •	A design method based on providing a residual compressive stress in concrete dose not utilizes non-prestressed reinforcement effectively. •	Relaxing the residual compressive stress requirement permits a more efficient design. The stresses in non-prestresssed steel are higher, but remain below yield under service load. Therefore, less reinforcement is required. 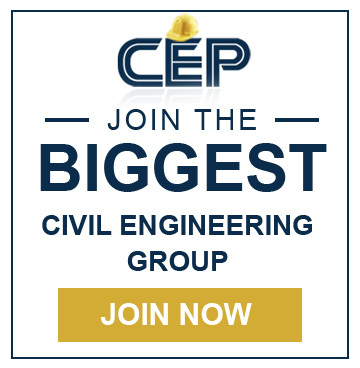 •	Load eccentricity significantly affects the behavior of the prestressed concrete sections. The behavior with a small load eccentricity, less than about half the thickness, the section may be treated as a flexure member. •	The ratio of non prestressed steel to prestressed steel in partially prestressed concrete section has a significant effect on the member serviceability and strength. Choosing the ratio such that both non-prestress and prestressed steel reach their strength simultaneously utilizes both types of steel at the ultimate limit state effectively. •	Increasing the wall thickness is very effective in increasing the capacity of the section and improving its serviceability by increasing the compression zone depth and reducing the deformations. Chetan Kumar Gautam  Highlights the point named “Comparison of Circular Reinforced Concrete and Prestressed Concrete Underground Shelter”. In his paper, design of two types of large circular underground shelters is presented. The shelters are made of precast concrete sections. Both RC and PSC alternatives are considered in the design and compared. The shelters are subjected to same type of external loadings and support conditions. The study conclude that the feasibility of using the vertical casting process of making the modules of shelters as it is suitable for manufacturing of large diameter pipes. He also suggested that the incorporation of fibers, specially steel fibers improves a host of properties of concrete, including its crack resistance, flexural strength, ductility, etc. Thus, the possibility of incorporating fibers in concrete shelter may be explored. Design of liquid retaining structure is different from R.C.C. structures. As it requires that concrete should not crack and hence tensile stresses in concrete should be within permissible limit.(i.e. TYPE-I structure).A reinforced concrete member of liquid retaining structure is design on the usual principle ignoring tensile resistance of concrete in bending. accordingly it should be ensure that tensile stresses on the liquid retaining face of the equivalent concrete section dose not exceed the permissible tensile strength of concrete as given in table1. In strength calculations the permissible Concrete stresses shall be in accordance with Table1. Where the calculated shear stress in concrete a lone exceeds the permissible value, reinforcement acting in conjunction with diagonal compression in the concrete shall be provided to take the whole of the shear. •	For resistance to cracking. When steel and concrete are assumed to act together for checking the tensile stress in concrete for avoidance of crack, the tensile stress in steel as in table 2will be limited by the requirement that the permissible tensile stress in the concrete is not exceeded so the tensile stress in steel shall be equal to the product of modular ratio of steel and concrete, and the corresponding allowable tensile stress in concrete. In strength calculations the permissible stress shall be as given in table 2. Generally M30 grade of concrete should be used Design Mix (1:1*1/2:3)Steel reinforcement should not less than0.3% of the gross section shall be provided in each direction Floors:-floor may be constructed of concrete with nominal % of reinforcement smaller than provided in table 1.they are cast in panels with sides not more than 45m and with contraction or expansion joints in between..In such cases a screed or concrete layer(M10) not less than 75mm thick shall placed first on the ground and covered with a sliding layer of bitumen paper to destroy the bond between the screed and the floor. Minimum Cover:- 35mm(both the faces). Minimum Reinforcement:-Overall .24% of total cross section should be provided. ( a ) Where it is desired to allow the walls to expand or contract separately from the floor , or to prevent moments at the base of the wall owing to fixity to the floor sliding joints may be employed. ( b) The spacing of vertical movement joints should be as discussed. while the majority of these joints may be of the partial or complete contraction type , sufficient joints of the expansion type should be provided to satisfy the requirements given in article. (a) In liquid retaining structures with fixed or floating covers the gas pressure developed above liquid surface shall be added to the liquid pressure . (b)When the wall of liquid retaining structure is built in ground, or has earth embanked against it ,the effect of earth pressure shall be taken in to account . •	Calculate hoop tension, maximum bending moment by using IS 1370 part IV. •	Check the assume thickness with given permissible values of tensile stresses of concrete in direct tension for the given grade of concrete. All types of structure can be built with reinforced and pre-stressed concrete: columns, piers, walls, slabs, beams, arches, frames, even suspended structures and of course shells and folded plates. In the construction of concrete structures for the storage of liquids, the imperviousness of concrete is an important basic requirement. Hence, the design of such construction is based on avoidance of cracking in the concrete. The structures are prestressed to avoid tension in the concrete. 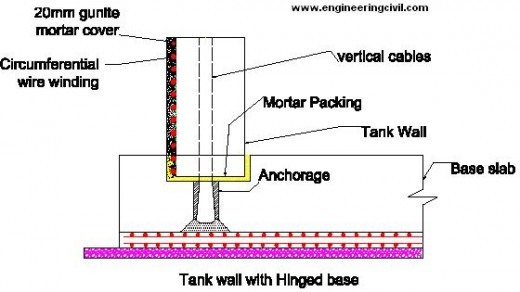 In addition, prestressed concrete tanks require low maintenance. The resistance to seismic forces is also satisfactory. Prestressed concrete tanks are used in water treatment and distribution systems, waste water collection and treatment system and storm water management. Other applications are liquefied natural gas (LNG) containment structures, large industrial process tanks and bulk storage tanks. Strand Wrapped circular pre-stressed concrete tanks are long life liquid storage structure with virtually no maintenance. Concrete construction makes for a substantial, sturdy tank structure that easily contain the internal liquid pressure while comfortably resisting external forces such as earthquake, wind. Pre-stressed concrete is the most efficient material for water tanks and coupled with the circular shape, eliminates all stress conditions. By placing the steel of the pre-stressed strands in tension and the concrete in compression, both materials are in an ideal states and the loads are uniformly distributed around the tank circumference. 1) Low maintenance can be enjoyed throughout the life as these are built with concrete, durable material that never corrodes and does not require coatings when in contact with water or the environment. 3) Tanks are very ductile, enabling to withstand seismic forces and varying water backfill. 5) Pre-cast tanks can store or treat anything from potable water to hazardous waste to solid storage bins. A.	Loads: Circumferential prestressing also typically causes vertical bending moment from other loading condition. B.	Freeboard: freeboard should be provided in the tank wals to minimize earthquake- induced hydrodynamic effects on a flat roof. C.	Wall: The design of the wall should be based on elastic cylindrical shell analysis, considering the effects of prestressing, internal loads and other external loads.cast in place concrete walls is usually priestesses circumferentially with high-strength strand tendons placed in ducts in the wall .the wall may be priestesses with bonded and unbounded tendons. Vertical prestessed reinforcement near the center of the wall thickness, or vertical non prestessed reinforcement near each face, may be used. Non priestesses reinforcement may be provided vertically in conjunction with vertical prestressing. Precast concrete walls usually consist of precast panels curved to the tank radius with joints between panels filled with high-strength concrete. the panels are post-tensioned circumferentially by high strength strand tendons. the tendons maybe embedded within the precast panels or placed on the external surface of the wall and protected by shortcreat .the wall panels may be prestessesd vertically with pretensioned strands or post-tensioned tendons.non prestesses reinforcement may be provided vertically with or without vertical prestressing. The construction of the tanks is in the following sequence. First, the concrete core is cast and cured. The surface is prepared by sand or hydro blasting. Next, the circumferential prestressing is applied by strand wrapping machine. Shotcrete is applied to provide a coat of concrete over the prestressing strands. A few photographs are provided for illustration. IS: 3370 (Code of Practice for Concrete Structures for the Storage of Liquids) provides guidelines for the analysis and design of liquid storage tanks. The four sections of the code are titled as follows. The following types of boundary conditions are considered in the analysis of the cylindrical wall. b) For top: free or hinged or framed. Fixed: When the wall is built continuous with its footing, then the base can be considered to be fixed as the first approximation. Hinged: If the sub grade is susceptible to settlement, then a hinged base is a conservative assumption. Since the actual rotational restraint from the footing is somewhere in between fixed and hinged, a hinged base can be assumed. The base can be made sliding with appropriate polyvinyl chloride (PVC) water-stops for liquid tightness. Free: The top of the wall is considered free when there is no restraint in expansion. Hinged: When the top is connected to the roof slab by dowels for shear transfer, the boundary condition is considered to be hinged. The hydrostatic pressure on the wall increases linearly from the top to the bottom of the liquid of maximum possible depth. If the vapour pressure in the free board is negligible, then the pressure at the top is zero. Else, it is added to the pressure of the liquid throughout the depth. The forces generated in the tank due to circumferential prestress are opposite in nature to that due to hydrostatic pressure. If the tank is built underground, then the earth pressure needs to be considered. Ri = inner radius of the wall. The values of the coefficients are tabulated in IS:3370 – 1967, Part 4, for various values of H2/Dt, at different depths of the liquid. D and t represent the inner diameter and the thickness of the wall, respectively. The typical variations of CT and CM with depth, for two sets of boundary conditions are illustrated. The roof can be made of a dome supported at the edges on the cylindrical wall. Else, the roof can be a flat slab supported on columns along with the edges. 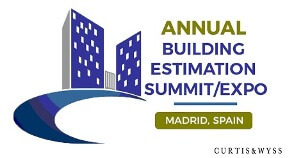 IS:3370 – 1967, Part 4, provides coefficients for the analysis of the floor and roof slabs. The aim of this paper is to compare the cost of R.C.C. water tanks resting over firm ground with the cost of Prestressed concrete water tanks. In India at least, most of the small & medium sized water tanks are constructed in RCC. Senior engineers and those in the know maintain that prestressed concrete water tanks are not worth trying for smaller capacities. Besides cost, other reason may be that prestressed concrete construction involves skilled labor & supervision. Furthermore, prestressing is a closely guarded technology in this country & information is not available that easily. There is no clear-cut definition of “Medium Size”. The thumb rule passed on in the field from one generation of engineers to the next, fixes a value around 10 lac liters. Therefore, this study encompasses tanks from 10 lac liter capacity to 90 lac liter capacity. A couple of cases of both varieties were designed manually. Design & Estimation programs were developed in MS EXCEL for both RCC & Prestressed concrete. The programs were finalized after a number of trial runs & corrections. Results obtained are compiled in figures numbered 1 to 5 & Table numbered 3. D/H ratio for all the tanks is maintained at 4 based on the recommendations of the Preload Engineering Company of the US, a world leader in the field of prestressed concrete water tanks. It should be noted that an increase in tank wall thickness results in decreased flexural steel in case of RCC. However, in case of prestressed concrete, an increased thickness leads to a greater prestressing force & consequently more prestressing steel. Thus, increased thickness leads to increased cost in case of prestressed concrete. Table3 presents the total cost of each tank along with the % difference. “+” means costlier prestressing & “-“ means cheaper prestressing. As the tank capacity increases, the cost of tank increases. But the concept of “economics of scale” holds good i.e. the cost of a tank of 20 lac liter capacity is less than double the cost of a tank of 10 lac liter capacity. Similarly, the cost of a tank of 90 lac liter capacity is less than 9 times the cost of a tank of 10 lac liter capacity. It can be clearly established that the grade of concrete hardly makes any difference in the costing. Because of its nature, the water tank design is never an impending or boundary line design. The factor of safety is high & the actual stresses are much lower than the permissible ones. An increased permissible stress for a higher grade of concrete hardly makes any difference to the final outcome. 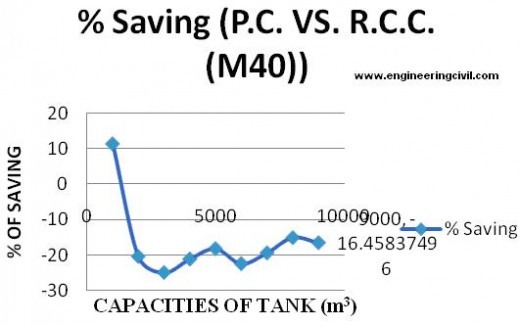 Finally, a study of the same Table3 confirms that the RCC tank is cheaper only for 10 lac liter capacity. 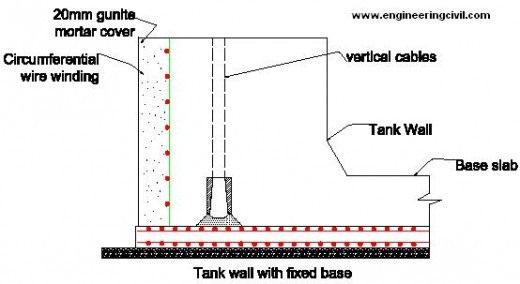 For higher capacities, prestress concrete tank is always cheaper by @ (20 +/- 5) %. 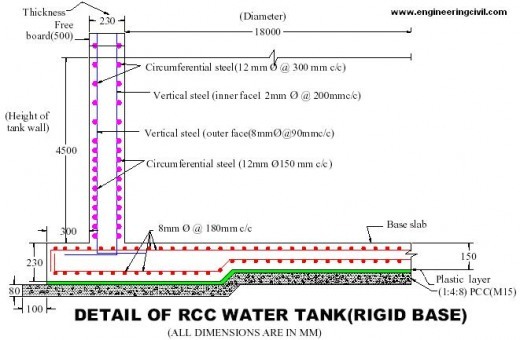 This is because the thickness of an RCC tank increases many-folds for higher capacities. Thickness in fact seems to be an important criterion even for prestressed tanks. An increased thickness leads to an increased prestressing force. More steel is required to generate this higher prestressing force resulting in higher cost. RCC tanks are cheaper only for smaller capacities up to 10-12 lac liters. For bigger tanks, Prestressing is the superior choice resulting in a saving of @ 20%. 1	Tanetal (1966) “Minimum Cost Design Of Reinforced Concrete Cylindrical Water Tanks Based On The British Code For Water Tanks, Using A Direct Search Method And The (SUMT). European Journal Of Scientific Research ISSN 1450 -216XVol.49No.4(2011),pp.510-520. 2	Thakkar and Sridhar Rao (1974)”Cost Optimization Of Cylindrical Composite Type Prestesses Concrete Pipes Based On The Indian Code” Journal of Structural Engineering 131: 6. 3	Al-Badri (2005) “Cost Optimization Of Reinforced Concrete Circular Grain Silo Based On ACI Code (2002)American Concrete Institute Structural Journal, May- June 2006. 4	Hassan Jasim Mohammed “ Economical Design Of Water Tanks” European Journal Of Scientific Research ISSN 1450 -216XVol.49No.4(2011),pp.510-520. 6	Chetan Kumar Gautam “Comparison Of Circular RC And PSC Underground Shelters” The Indian Concrete Journal April 2006. 8	IS: 456-2000. Indian Standard Code of Practice For Reinforced Concrete. 9	IS 3370-Part I,II,III,IV 1965 & IS Code 1343-1980 Indian Standard Code of Practice For Liquid Retaining Structures. 10	IS: 1343- 1980. Indian Standard Code of Practice For Prestressed Concrete (First Revision). 11	Lin, T.Y, and NED H BURNS “Prestressed Concrete”, Third Edition , John Wiley & Sons[ ASIA] Pt e Ltd. , Singapore 129809. 12	N. Krishna Raju, 2007. “Prestressed Concrete”, Fourth Edition, Tata McGraw- Hill Company Ltd., New Delhi. 14	B.N Dutta, 2009 “Estimating and Costing In Civil Engineering”, Twenty- Sixth Revised Edition UBS Publishers’ Distributors Pvt. Ltd. New Delhi. 15	Current Schedule of Rates (CSR), 2010-2011, for Public Works Region, Amravati. 17	Bundy , B. D. , 1984. ” Basic Optimization Methods “, Edward Arnold Publishers. 18	Fintel, M., ,1974. ” Handbook of Concrete Engineering”, USA. 19	Gray ,W.S. and Manning ,G.P., 1960. ” Concrete Water Tower, Bunkers, Silos and Other Elevated Structures” , 3rd ed. , London. 20	Manning, G.P., 1973. ” Reinforced Concrete Reservoirs and Tanks,1st ed. London. 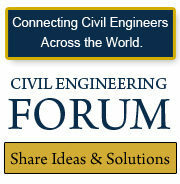 We at engineeringcivil.com are thankful to MS. SNEHAL R. METKAR for submitting this useful information to us. We hope this will be of great help to all those who are looking forward for Economics of R.C.C. Water tank Resting over Firm Ground vis-a-vis Pre-stressed Concrete Water Tank Resting over Firm Ground. Central prestressing is normally required during construction in Incremental Launching method. Why? What is stress corrosion of prestressing steel? What is the difference between air chamber and surge tank in pressurized pipelines? Should mild steel or high yield steel be adopted as reinforcement of water-retaining structures? What are the IS Codes used for Structural Engineering And Structural Sections? Please provide me Calculation steps and total cost of 20 M X 15 M x 6 M open RCC Tank for Waste water collection and treatment tank below ground. how is the steel providing in the ground floor coloumns, is it full length of steel bar? please let me know the cost for the constraction of 5 Lakhs liters cement tank to store rain water .